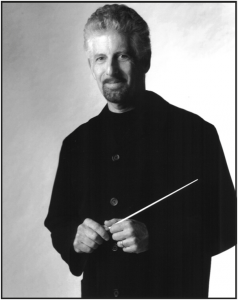 Stephen Paulson has been the Music Director of Symphony Parnassus since 1998. Devoted to creating the best possible experience for both players and audience, he has led the ensemble through a wide variety of repertoire, drawing on the classical canon as well as new compositions. A student of George Cleve, Paulson has appeared as a guest conductor with members of the San Francisco Symphony, the Phoenix Symphony and the New World Symphony.